I broke down and ended up ordering the Contempo Jacket in Power Purple since my Define Jacket sold and I wanted to replace it with the same color in another jacket. I was torn on sizing but went ahead and chanced the size 8. In the Forme Jacket, a size 8 is quite snug and the size 10 is the better fit. I always sized down to an 8 in the Stride/In Stride Jackets even before I lost weight, and sized up to a 12 in the Define Jacket. The size 8 in this jacket is plenty roomy on me and nice and long so I’m really glad I went with this size. I can’t really say wether this is my TTS yet or if this is a size down for me since my CRB’s are 50/50 size 8’s and 10’s. Honestly, I can do both sizes quite comfortably. I’d say if you are between two sizes, you can safely go with your lower size. My one beef with this jacket though is the zipper pull. It’s the ugliest zipper pull in the history of all zipper pulls in the world (way worse than the Warm Up Crew zipper pull). Who exactly is in charge of buying trim at lululemon? 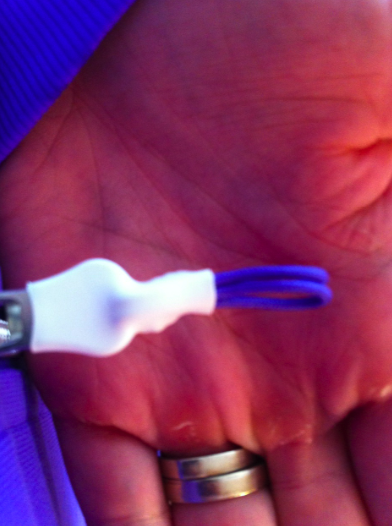 Check out the closeup of the zipper pull. It looks like a molded piece of play dough pressed on in a shapeless way. It’s not even straight. I have half a mind to chisel this weird piece of plastic off. Other than that, I really love this jacket. The pockets are angled in a really nice and comfortable way. The fit of this jacket is really flattering yet relaxed. I’m torn though between keeping the Power Purple or swapping it for Light Soot instead. Is the Contempo Jacket worth $138? No, it’s a really nice jacket but that zipper pull puts it into the $98 category for me, with a nicer zipper pull I’d put it in the $110-118 category. I’m keeping it though since I already sold my Define Jacket and needed to replace it. The design work of this jacket though (with the exception of the zipper pull) reminds me of older lululemon addict must have jackets with flattering sculpted seams and longer lengths. The luon on this is really nice too. "The Newest No Limit Tanks"